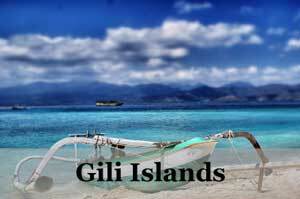 Gili Trawangan is part of the trio of Gili Islands along with Gili Meno and Gili Air. At this paradise island that is part serene and part hype, you will be sure to find lots of things to do. Affectionately known as ‘Gili T’, this island has a reputation as a party spot for a reason. Half the island is dedicated to late-night bars and loud music. The far side of the island, however, is just as beautiful as its two sisters. The beaches are clean and beautiful and make a great base for a day of swimming and snorkelling. Again, there are lots of opportunities to dive, be it your first or hundredth time. One of the best activities around here is cycling, as there are no cars on Gili Trawangan. By cycling, you will also find yourself exploring the island in depth. One can easily rent a bicycle here on Trawangan and you can spend few hours circumventing the island. 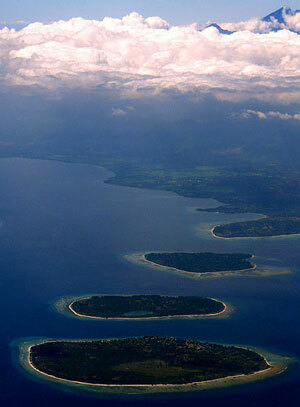 Gili Trawangan is known for its highest point which is aptly named ‘The Viewpoint’. It takes around half an hour to walk there from the central hub of the island but it is well worth it for the views over the sea and towards the other islands in this part of Indonesia like Lombok and Bali. Find the famous swing on the sea and get a beautiful picture with the romantic sunset as backdrop. 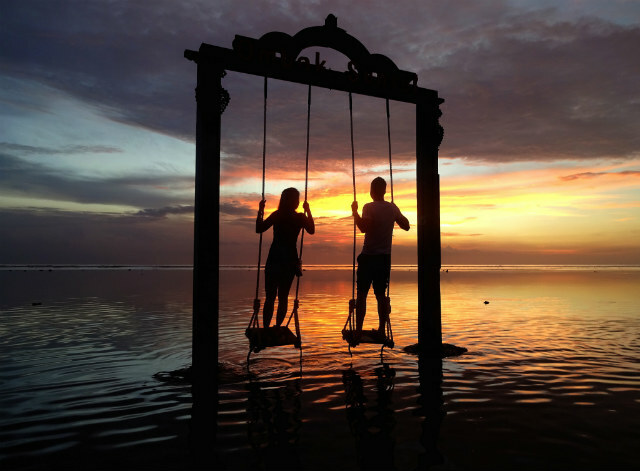 This swing can be found on the west of Gili Trawangan at Ombak Sunset resort hotel *. The Gili Islands have some of the best dive spots in the country as the conditions here are clear and calm. Most people choose to dive off the coast from Gili Trawangan as this island has the best variety of dive shops and diving packages. Although not one of the top sites to dive in Indonesia, Gili Islands still offer quite a diving experience with some (harmless) sharks, rays, turtles and more. One of the best and easiest way to enjoy the sea is by snorkeling. You will find lots of snorkeling rentals in Gili Trawangan so just grab one and go spotting turtles, colourful fish, and maybe even a baby shark for far less than the price of a diving excursion from Gili Trawangan. 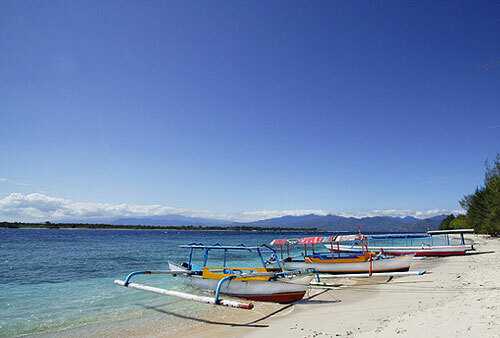 A boat tour can be easily arranged from Gili Trawangan with its many operators. They offer boat trips ranging from a simple trip between the islands to a luxurious glass bottom boat tour of the surrounding seas. If you charter a boat to island hop, it can coast around IDR 300,000 depending on your haggling skills. But if you want to check out the other islands more cheaply, you can also get the local ferry for IDR 30,000. The local night market here is something not to be missed. Every evening a night market will be set up in the main square of Gili Trawangan at around dusk. This is also one of the best places to grab some dinner on the island. 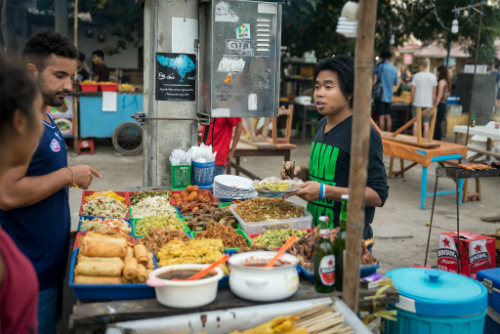 You will find many local stalls selling traditional snacks such as grilled satay and spicy corn on the cob or you may go for some simple fried noodle or rice dishes. The food here is usually cheaper than the restaurants or cafes on the island but it is equally if not more delicious. 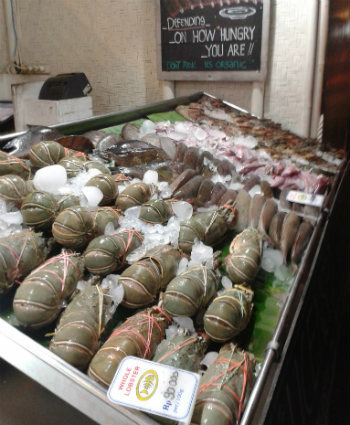 If one is on a paradise island, eating loads of fresh seafood is a must. There are many local restaurants here that will display the day’s catch. There are no better ways to enjoy the fresh seafood than having them simply grilled over coconut husks and served with steamed rice. Gili Trawangan is known for being the ‘party island’ but don’t expect this to be anything like the nightlife scene in Kuta in Bali. Nonetheless, you will find a range of beach bars here that play music well into the night. Some venues will have special themed nights and dance parties, so look out for it. 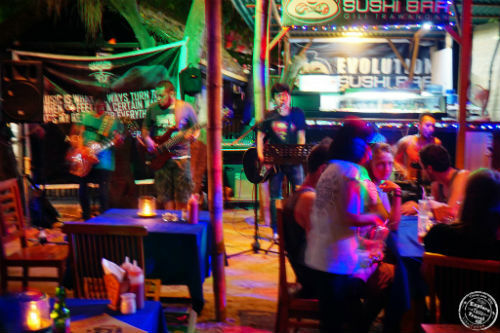 If you prefer a more relaxing evening, then head to Evolution Bar for live bands music. This may not sound like an activity you thought you would do here but it is really an experience itself. If you happen to know one coming up, do give it a try. At the open air cinema, you can sit on bean bags and enjoy a movie on a big screen under the stars. The most famous open-air cinema takes place on the main beach on Gili Trawangan. But many guesthouses and hotels here have noted its popularity and have set up their own open-air cinemas too. A beachfront resort with its own outdoor pool and bar, this place is ideal for those who want to relax in style. Styled with rustic designs, the individual huts are unique and inviting. Themed with a tropical island feel and filled with lush gardens, it is truly a dream to stay here. Prices starting from 140 USD. Another beachfront resort, this one features spacious standalone bungalows and villas with a traditional wood interior. Each villa has its own private terraces and there is also an outdoor pool. Prices starting from 120 USD. Check out the latest prices and reviews at Booking.com *. Nusa Dua is one of Bali’s most exclusive regions, but don’t let that put you off. Among the many luxurious accommodations, private beaches and fancy restaurants, there are still many things to do. 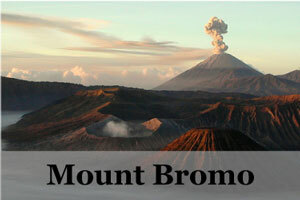 Here also lies Bali’s classic culture and unrelenting friendliness. Nusa Dua, or ‘two islands’ as it translates to in Bahasa Indonesia, is home to some of Bali’s best. Nusa Dua is all about spending your time in total comfort. The resort enclave has three gates: Main Gate, North Gate and South Gate. Some resorts have private beaches for their visitors; however, other areas are easily accessible to general public. 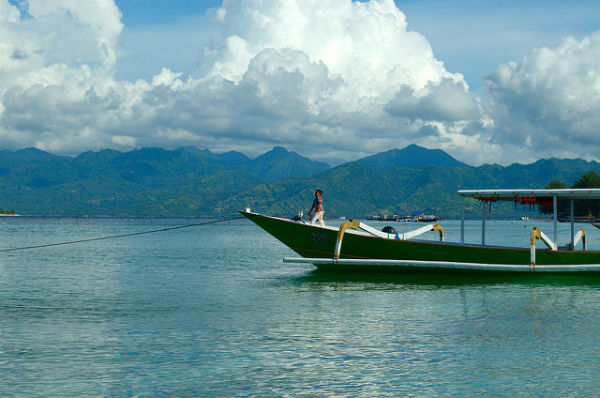 This fishing village also offers a range of water sports facilities as well as many mid-range and budget hotels that were difficult to find in Nusa Dua. Nusa Dua, located in Bali Island, enjoys a tropical climate. 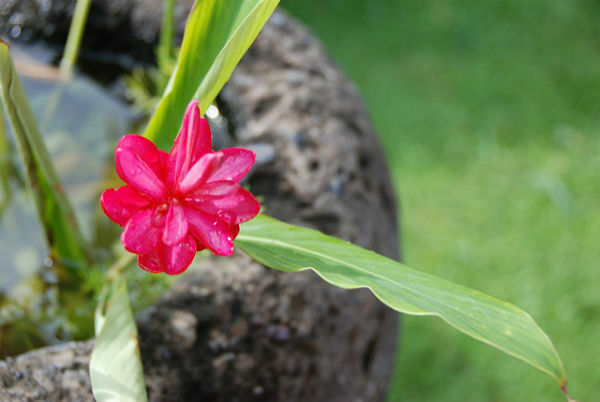 The rainy season here lasts from October to March. The best time to visit Nusa Dua is period from May to August when the weather remains pleasant and cool, just perfect for exploring tourist attraction or enjoying adventurous activities. 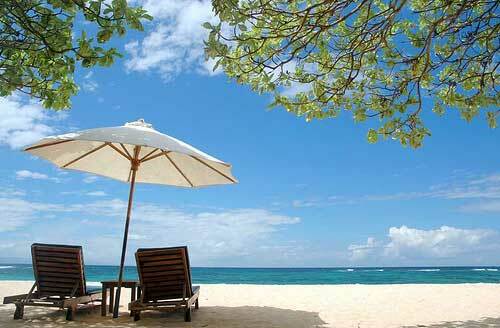 Nusa Dua is often referred to as Bali’s ‘gated community’, as it is full of pricey and luxurious hotels. This can feel pretty exclusive, and there are some incredible options if you’re happy to splash out. 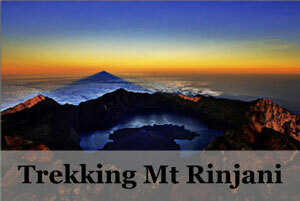 At the highest is this famous world-class resort that is highly rated. With its own private beach and impeccable service, you will definitely find yourself in paradise here. Other notable high end resorts on Nusa Dua are Kayumanis Nusa Dua Private Villa & Spa * and Samabe Bali Suites & Villas *. For a villa, Rumah Bali * is stunning and makes the perfect spot for any lazy sunbathers. Featuring clean and modern design, every villa has direct acces to the pool that runs along with palm trees lining it. With beautiful sea view from the rooms and a quick access to the beach, it is no wonder this villa is one of the top choice in Nusa Dua. To top it off, price starts only at 150 USD! If you’re on a bit more of a budget, don’t panic! You can find some lovely, cheaper places to stay in this region. For even more budHouse of D16 * is a lovely little hostel in Nusa Dua, and Clamonic House * is perfect for travelers on a budget. 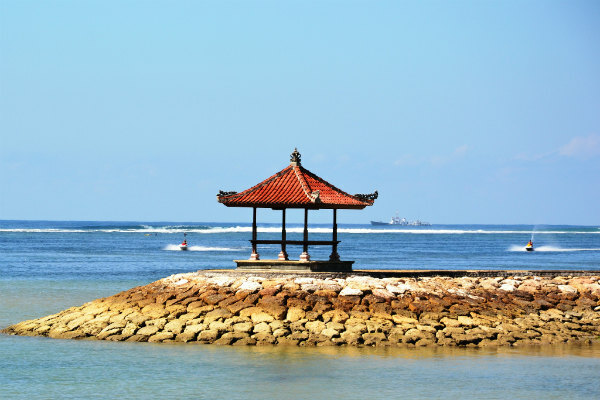 Alternatively, stay in nearby Tanjung Benoa and take a day trip to Nusa Dua. There are much cheaper options for accommodation here, such as Sari B&B. Geger Beach – locally known as Pantai Geger. 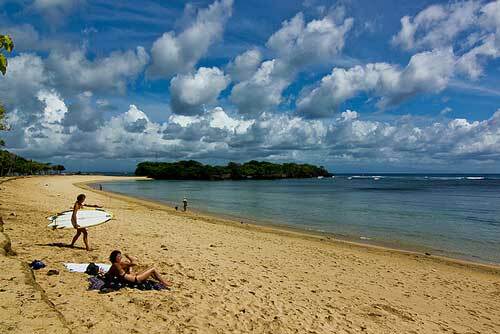 This beach lies in Sawangan area, about 3 km from Nusa Dua. It is a public beach, considered safe for swimming. You can also enjoy some delicious snacks at the beach side warungs at this beach. his white sand beach is fringed with palm trees and offers lots of comfy deckchairs to relax on. There are several small cafes here, so you can eat while keeping your toes in the sand. You have to pay a small entry fee (around 3,000 – 5, 000 IDR), but this feels totally acceptable once you see how clean and well-kept the beach is. Mengiat Beach is one of the quieter beaches, so you can expect to have some space to yourself. Unlike some of the other beaches in Bali, you’ll pretty much be left to it by locals selling their wares. While it can sometimes be nice to have people randomly pop up and offer you a foot massage, it’s also quite nice to drift off in your own little bubble of relaxation. Water Blow Rock Formation – located north of Grand Hyatt Hotel. This site is worth watching for the rock formation and the giant splash formed due to the collision of water waves with rock walls. From a distance, splashing water appears like milky white foam sliding down from the top of the rock. If you’re after an afternoon of culture, Museum Pasifika is a great place to visit. This museum is pretty spread out and has over 600 pieces to enjoy. It documents various pieces of history, art and culture from all over the world. There is a beautiful mixture of sculptures, paintings and artefacts on display, and entry costs 100, 00 IDR. 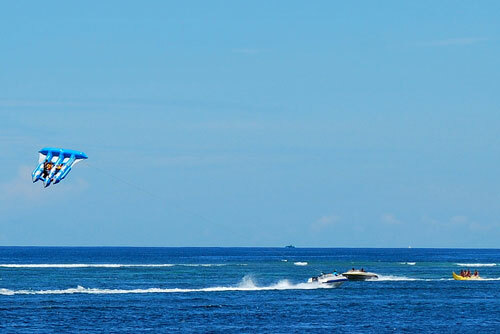 Water-Sports – while many of the beaches here are pretty much designed for lazy days, there are also opportunities for the thrill-seekers among you. If you’ve ever wanted to try out kite-surfing, or fancy yourself whizzing around on a jet ski, now is your chance! Head to the nearest beach and see what’s on offer, or book through your accommodation for great rates. There are many companies in Nusa Dua that offer equipment on rent for water activities like snorkeling, scuba diving, surfing, etc. There are some excellent surfing sites here that remain crowded during ideal weather conditions. Tourists can enjoy sports like tennis, gym and squash in some of the five-star hotels and resorts. Snorkelling is the perfect mid-point for anyone who wants to do something more exciting than sunbathing, without going too wild. 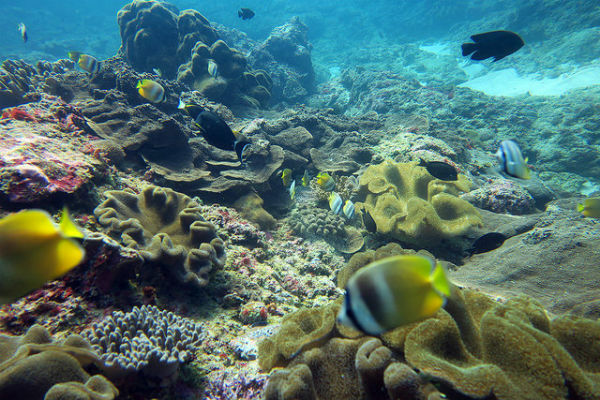 The reef around Nusa Dua is studded with turtles, brightly-colored schools of fish and striking coral. Get Your Golf On – as you’d expect from a 5-star region, Nusa Dua is home to some incredible golf courses. Whether you’re a beginner or a seasoned pro, head here for an afternoon of high-quality fun. Bali National Golf Course is any golfers dream – stunning greens, a challenging course and wonderful customer service. Make a day of it and enjoy the on-site café. Bali is the land of sunshine, but, just in case it rains (or you fancy a break from the beach! ), there’s still plenty to do. 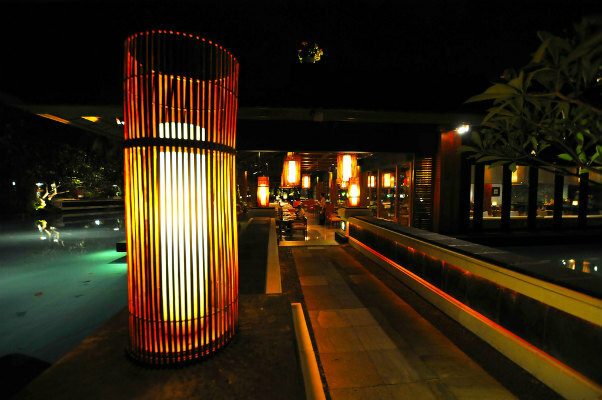 Hit Bali Collection for some retail therapy and enjoy the mix of chain stores and restaurants. This isn’t a local mall or market, so expect to pay similar prices to back home. Nike, Billabong and Quiksilver have outlet stores here, and there are also some lovely places to pick up souvenirs or local crafts. Spa – Enjoy some pampering with selection of choices for spa, one of the latest in Nusa Dua, SPA Healthland, incorporates “medical-spa” concept which involves preventing illness and improve well-being. There is also the popular Zahra Spa. Try out a traditional Balinese massage, pamper yourself with a mani/ pedi or indulge in a full package, complete with delicious food and a range of calming treatments to soothe your soul. The Laguna also offers wonderful spa treatments. While this region is seen as Bali’s crème de la crème, there are also dining options for those on more of a budget. For anyone after something a bit cheaper and cheerful, make a stop at Secret Café and sample some delicious Indonesia food. Those craving the comforts of home should take the time to visit Nusa Dua Pizza – it does what it says on the tin, and very well! Warungs along the Jalan Srikandi in Bualu village offer authentic Balinese food at much cheaper prices. Benoa Cafe, Bumbu Bali, Café Bagus, and Kacak Bali are some of the reasonably priced restaurants in Tanjung Benoa area. If you do fancy going all-out, head to Kayuputi at The St. Regis – this place knows how to do fine-dining, so go with an empty stomach and dress up. Table8 has to get a mention, partially for their stunning interior, but mainly for their incredible menu. Banyubiru at The Laguna Resort is the perfect place for a romantic meal out. For some fresh seafood and wine, go to Kendi Kuning Restaurant which is located in between Tanjong Benoa and Nusa Dua. 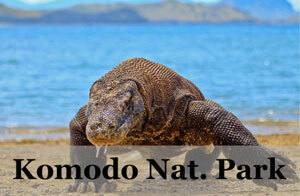 Nusa Dua is down in the south-west of Bali and is easily-reachable from Denpasar Airport. It’s a very well-known region, so you shouldn’t have any problems getting there. 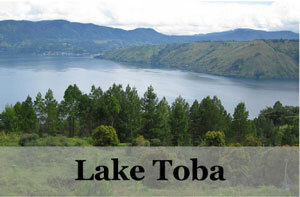 It takes about half an hour from the airport and will cost around 150, 000 IDR. From the airport, you have options of either hiring a prepaid taxi or a metred taxi. A pre-paid taxi fare costs between Rp 90,000 and 115,000. Metred taxis are cheaper than a prepaid taxi but they don’t enter the main airport area and you’ll have to walk a few hundred metre distance to avail this option. If you are coming from Denpasar, you can use the public transport dark-blue bemos that depart from Tegal bemo station at Denpasar or a taxi. Bemos are not allowed to enter the Nusa Dua area, and you’ll have to either walk the distance (about 2 km) or hire a taxi from the entry gate. 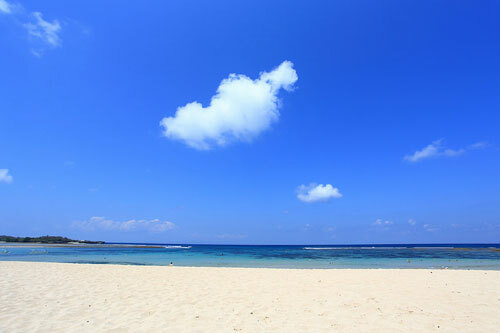 Many people head to Nusa Dua for the day from nearby Tanjung Benoa. Benoa is lovely and has a certain charm to it, but the beaches here sadly aren’t very nice for swimming or sunbathing on. A quick twenty-minute drive to Nusa Dua will soon have you dipping in and out of turquoise waters and enjoying the quiet, resort-front beaches. Metered taxis are freely available to get around in Nusa Dua and Tenjung Benoa areas. Another option is the public bemos that regularly ply around two resort areas. Rented bicycles and cars, available at many hotels, can also be used to explore the area. 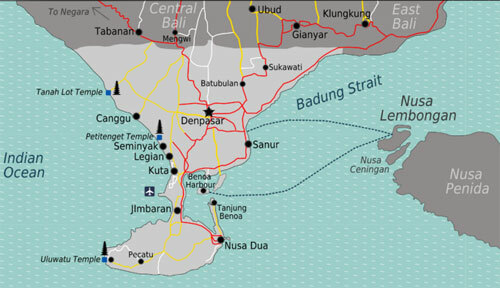 Denpasar – the administrative capital of Bali. Puputan Square, Bali Museum, Taman Budaya Cultural Center, Pasar Badung and Pasar Kumbasari are some of the best sites to explore in Denpasar. 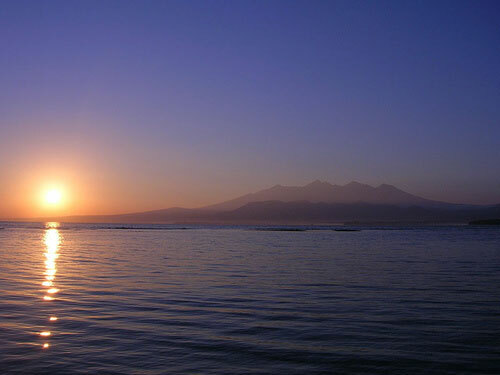 Kuta– located about 11 km from Nusa Dua and famous for its magnificent sandy beaches and dynamic nightlife. Surfing, shopping, eating, and partying are some of the favourite activities to enjoy while in Kuta. Serangan or Turtle Island – a turtle conservation island where you can see hatching of turtle eggs in traditional houses. Author Lucy VinestockCategories Accommodation, Bali, Guide, Nusa Dua, South Bali, Things To DoLeave a comment on Nusa Dua, Bali – Accommodations, Things to Do and more! Uluwatu is a coastal tourist hub popular with surfers, but there are plenty more things to do here besides. 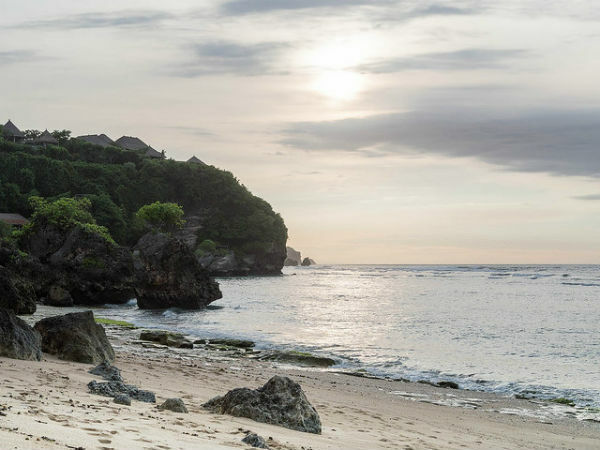 From amazing food to lazy beach days, Uluwatu has something for every type of traveler. Here are our recommendations of the best things to do in Uluwatu. Uluwatu Temple is one of the most visited temples in Bali, and it’s not hard to see why. It’s set on top of a high cliff, with amazing views of the ocean. There are winding paths along the coast-line which lead you to various different parts of the temple. There’s also a cobbled path along the forest, so beware of monkeys! Be respectful when visiting any temples in Bali, and cover your knees, shoulders and chest. You can also borrow a sarong when you arrive, so don’t worry too much if you forget! I’d suggest taking a few hours to explore and make sure your camera is fully-charged as the views from this cliff-edge temple are unreal. There are some pretty beaches in Uluwatu that don’t offer much to surfers, but have everything any sunbather could possibly want. Thomas Beach is a beautiful place to visit if you’re after clean sand, clear waters and some peace and quiet. While it can get quite busy with tourists, it has a really chilled out vibe to it. Bingin Beach is popular with surfers but is really nice to visit during low-tide. You can snorkel here, or just enjoy the relaxed atmosphere. Most beaches in Uluwatu have some little cafes or bars dotted along them, so you’ll be able to find cold water or, realistically, cold beer! 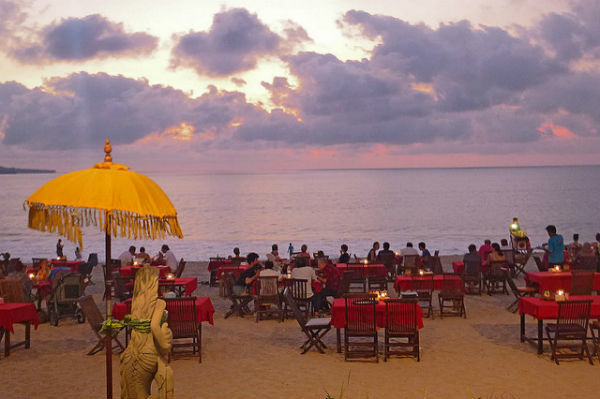 Probably one of the best things to do in every new place you visit, eating is an attraction of its own in Uluwatu. Thanks to its beachy location, there are heaps of seafood restaurants here. For cheap local food, visit Waroeng Jadul Blangkon or treat yourself to a meal at DUGONG. Bukit Café is perfect for Aussie-inspired brunches, and Café La Passion is the best pick for cozy evenings with movies, live music or just chilled vibes. Head over to nearby Jimbaran by hiring a private driver. Your accommodation will be able to recommend someone to you, or you can use Bali’s best taxi service – BlueBird. Jimbaran is more of an upscale area of Bali than Uluwatu is, which means that it’s packed full of fancy beach restaurants. If you’re after something tasty but cheap, make your way to Bawang Merah Beachfront and wander until you find something you’re happy with. 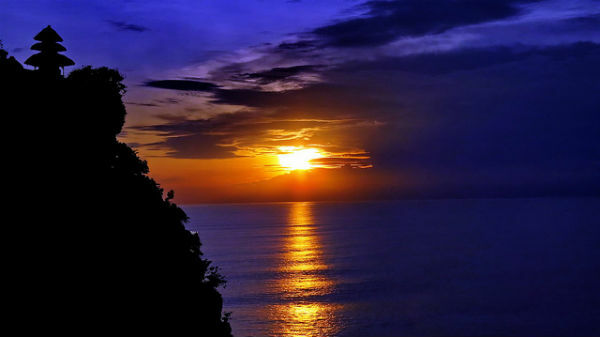 I had to include this, just because it’s Uluwatu! If you’re new to surfing, start off with a lesson to ease yourself in to it all. Padang-Padang beach, one of the best beaches in Uluwatu, is perfect for any beginners, and there are always places to rent boards or have lessons. Take something to cover your shoulders and back (or rent/ borrow a rash-guard) and slather on the sunscreen. You’ll be out for a while and the sun gets super strong here! 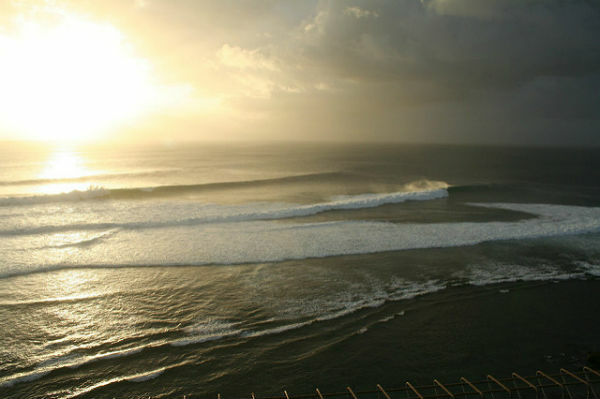 Of course, there are also places like Bingin Beach that offers world-class waves, but these are only for pros. Surfing can seem pretty scary but is actually such good fun. It’s also a crazy workout for your arms, so have a snack before you go. I skipped brekkie because I was so nervous and ended up really struggling with my energy levels. Uluwatu temple is just one venue that hosts regular Balinese dance performances. There are dances shows regularly held all over Uluwatu, so you can find one close to your accommodation if it’s easier. 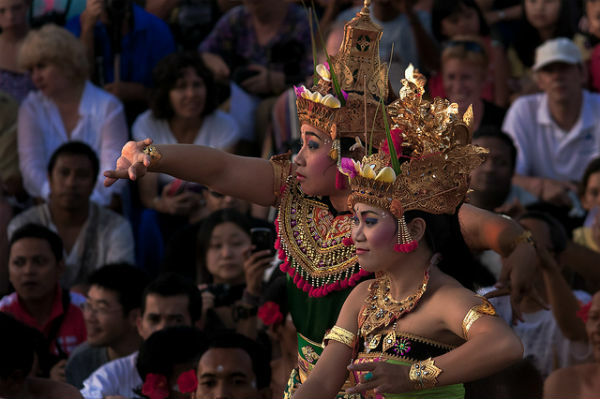 Dance and performance highlight the deep culture that Bali is built upon, and fire shows are just one of the amazing variations. Look out for ‘kecak’ dances, as well as ‘barong’ performances and get ready to embrace the weird and wonderful world of Balinese dance. These dances are different to anything else in the world, and involve masks, drum music and dramatic make-up, on both men and women. I’d definitely suggest taking the time to see one of these shows, as they are truly unique to Balinese culture. Make sure you wear insect repellent, as most theatres are just outdoor spaces with some chairs or beanbags laid out. If you’re in Bali, you need to try out a Balinese massage, and Uluwatu is a great place for some me-time. Esthetic Day Spa is a beautiful haven where the staff will ensure you’re pampered and relaxed the whole time. The service here is fantastic, and this is a wonderful place to spend an hour or two to wind down after traveling. There are smaller spas everywhere in Uluwatu, so you can stop off by the side of the road for a quick foot massage if you fancy! The service here won’t be what you’re used to back home, so don’t expect a private room and utter silence. These little places tend to be more laid-back and there’s normally some chatting and giggling going on, which makes it quite fun. As with pretty much anywhere in Bali, yoga is very popular in Uluwatu. Head to Morning Light Yoga Studio to stretch out your body. 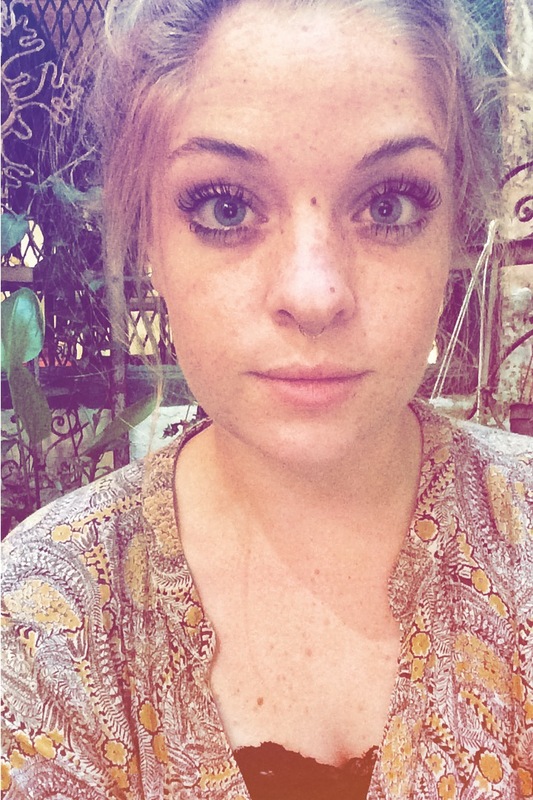 There is a really lovely spiritual side to yoga here, which is partly thanks to all the movies and books about ‘finding yourself’ that is set in Bali. It’s also just a great way to wind down, focus your mind and work your muscles. Traveling can wreak havoc on your body, with time-zone struggles, heavy bags and uncomfortable journeys. Uluwatu is the perfect place to soothe your soothe, look after your body and check in with yourself. Single Fin Beachgets pretty busy on Sunday nights, so head here for pizza and Bintangs in the evening. There are also other, unofficial nights around Uluwatu if you want to get out and meet new people. Café La Passion offers tasty Mexican and Italian food, as well as brilliant live music nights. If you’re after something a bit livelier, Summer Waroenglooks small from the road but has a huge outdoor area with amazing reggae nights on Tuesdays. Equally, grabbing a couple of cold beers and making your way to the nearest beach tends to work pretty well, too. Take a day trip to nearby Ubud and explore the Sacred Monkey Forest Sanctuary! Ubud is a quirky, super popular place to visit full of artists. If you fancy getting some shopping in, Ubud is the place to do it. There’s a long street of market stalls, so you can load up on sarongs, jewelry and souvenirs to take home. The Royal Palace is also well worth visiting if you have time, and is pretty central to Ubud. There are loads of great little cafes, restaurants and gelato stalls all over the centre! Give yourself a day to wander around and explore. 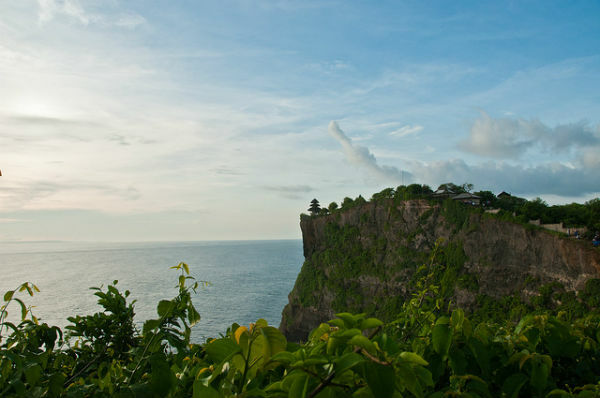 If you wish to stay nearby this wonderful temple, you will be spoilt for choices in the Uluwatu area of Bali. There are a number of very good reviews hotel, bed & breakfasts and homestays around here. For those looking for a charming retreat or an alternative to their honeymoon, this is touted as the best accommodation in Uluwatu area with its chic and charming design. The view from the poolside here is also to die for. Another popular hotel here is the with yoga retreats, organic spas and cooking classes. The hotel also features a calming pool and delicious organic foods. For a budget option in Uluwatu area, this is definitely the place. Located only 5 minutes drive from the Pandawa beach, this place is best value for your money, with air-conditioned rooms and personal terraces for chilling out. Nusa Lembongan is tucked away in Indonesia, despite being relatively unknown to tourists, it has lots of things to do and beautiful places to stay. 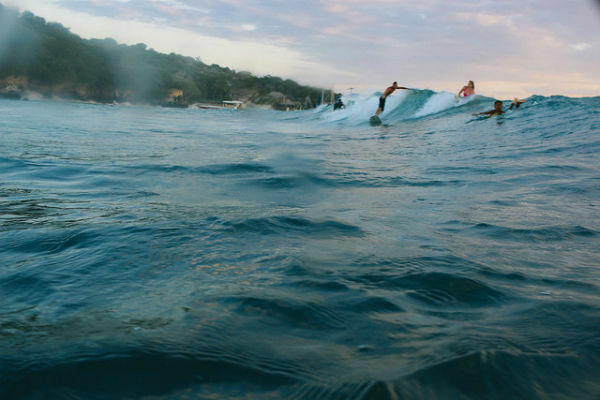 Whether you’re looking for amazing surf, stunning views or just some downtime, Lembongan is the perfect destination. Nearby Nusa Ceningan is definitely worth a visit, too. You can easily rent a moped and zip around the island. I’d definitely suggest doing this for a day if you can, as there is so much to see and explore. Half of the island’s charm, for me, at least, were the hidden spots; the places with no names. One of the joys of traveling is finding your own way, so hop on a bike and ride until you want to stop. There are some modern roads here that are great for beginners. Build up your confidence and head up the hills, along dirt paths and between towering trees to find the best views over the island. Make sure you have plenty of petrol before you head off on an adventure. There are plenty of roadside spots to fill up at – keep an eye out for old alcohol bottles full of yellow liquid! It is also polite to return your bike with at least half a tank left, so bear that in mind when you’re riding home. This nearby island is pretty tiny, and very beautiful. It is home to great diving, yoga studios and plenty of nature to immerse yourself in. 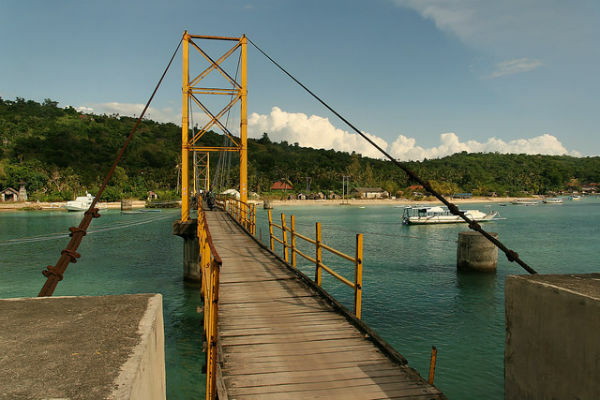 Take the bridge across from Lembongan and explore by moped. Not all of the roads here are perfect, but that just adds to the fun. Friendly locals will point you in the right direction of the main viewpoint here, so make sure your camera is fully-charged and heap on up and up.Blue Lagoon is one of the most stunning little bays you will ever see, with bright aqua water. Make time to visit this spot and bask in the glory of nature here. Secret Beach in Nusa Ceningan is likely to be empty, unsurprisingly, and offers great snorkelling and swimming water. This is a stunning area of natural beauty right near Dream Beach. Expect lots of tourists but don’t let that put you off. This can be a dangerous area, so pay attention to the warning signs and be sensible. The Devil’s Tear itself is a little inlet into the land where waves get sucked into holes in the cliff face. They are then jetted out and shoot up into the air and across the cliff. Don’t get too close, but make an effort to visit this spot. The power of the waves here is stunning. Just a few minute’s walk from here is the best sunset spot on the island. Rocky cliff juts out into the ocean and gives you a stunning view of the island, as well as all the colours in the sky. 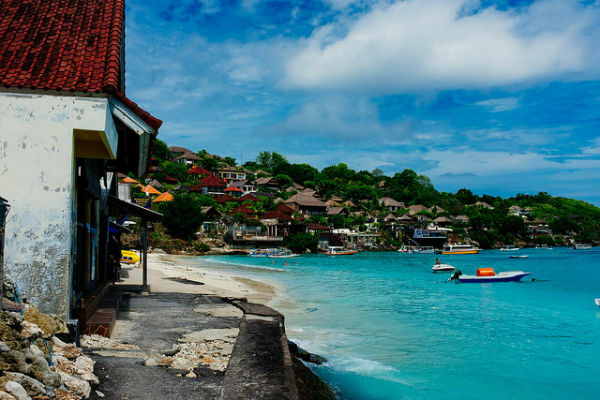 Lembongan is famed for its surfing, and the beaches here are truly designed for it. The waves around the island are generally for the more experienced surfer, but there are some good beginner beaches, too. Playgrounds is the ideal beach for surfers and gets busy without being crammed. Head to Coconut Bay and paddle out from here to the waves. You can rent boards and have surf lessons here, too. Dream Beach isn’t for swimming but is a lovely beach to hang out at. 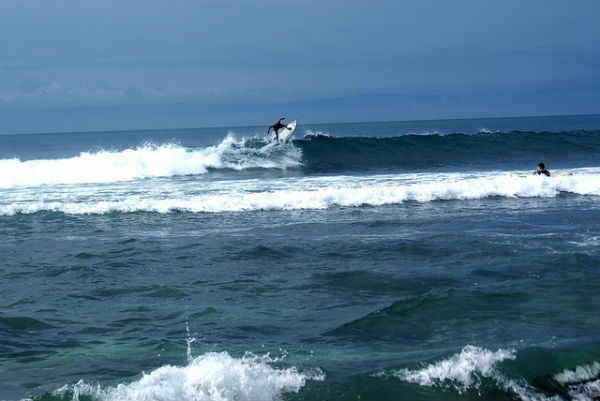 The surf can get pretty good here as well, and is better suited to experienced surfers. 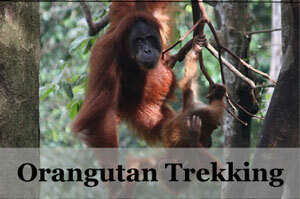 Head over to Ceningan for great breaks, too! Wherever there are good waves, there’ll be a shack on the beach with boards to hire out. Stand-Up Paddle Boarding is such a fun activity, and this island has some amazing beaches to try it out at. Some waves tend to be too strong or high, and these beaches tend to be reserved for surfers. If you fancy a swim, snorkel or SUP session, head to the calmer beaches. Mushroom Beach is the place to head for a relaxing afternoon of lazing on the beach and trying out water-sports. This is a really easy beach to get to and is surrounded by cute restaurants and road-side warungs (local eateries). Expect some tourists here, but don’t worry about it being crowded. Hire out a paddle board from one of the stalls on the beach, just don’t forget your sunblock! Indonesia’s underwater world is beyond beautiful and is peppered with stunning marine life, including majestic turtles and colourful coral. Diving is one of the best things to do here, and the island’s schools cater to all levels of experience. Get up early or spend an afternoon diving amongst the island’s oceans. The dive sites around Lembongan are full of amazing underwater marine life, such as manta rays, which people travel here just to see. Diving is taken seriously, and there is a duty to the dive centres to be professional and respectful of the waters. 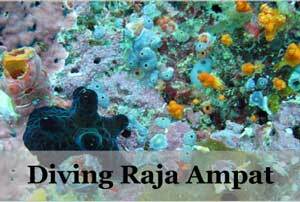 Nusa Ceningan also offers beautiful underwater views and great diving opportunities. Don’t attempt this on your own! Make sure you go with a company who know when and where it is safe to go out, and who will look after you. 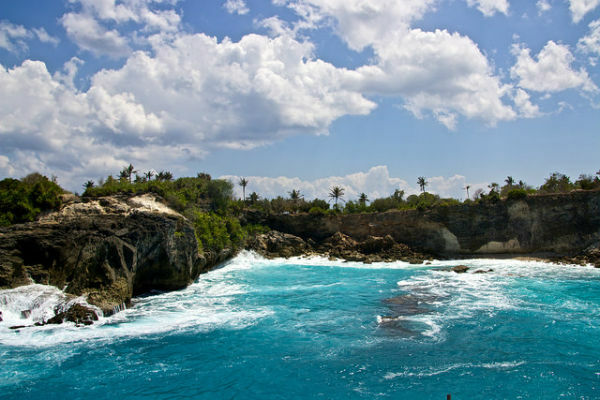 Cliff jumping is one of the most exhilarating things you can do in Nusa Lembongan, and is the ideal way to spend an afternoon if you’re an adrenaline junkie. You’ll basically jump off a cliff into the ocean and can snorkel and swim to your heart’s content in lovely, clear waters. You can find companies that offer this in Lembongan, and some that will take you to Ceningan. 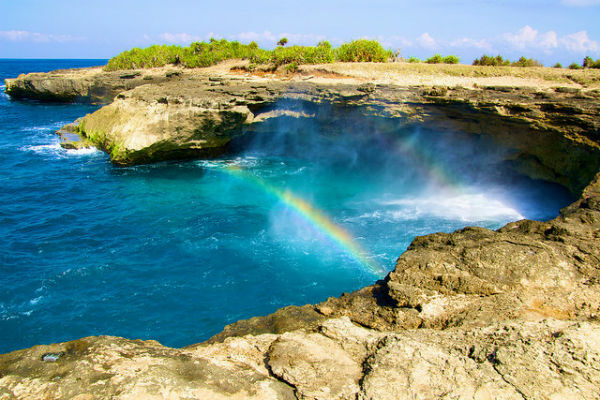 Lembongan Cliff Jumping comes very highly recommended, and offer a number of packages for those seeking adventure. Abyss Zipline company over in nearby Ceningan offer one of the most fun activities around! If you fancy zipping through nature and taking in stunning views of the island, add this to your to-do list. The staff here take safety very seriously, which is good considering you’ll be swinging across the ocean! Make time to head here and reward yourself with a dip in their infinity pool afterwards. Take some time to really relax and make the most of the local spas. They may not be big or fancy, but they’ll be full of local ladies who’ll pummel the knots out of your back. Traditional Balinese massages can get pretty heavy but will do wonders for a well-travelled body.The prices of massages here tend to be very low. Despite being on a small island, prices haven’t been driven up by tourism too much. Grab yourself a bargain and get some me-time in. If you fancy taking some time out from all the water-sports and hiking, head to a yoga studio and chill out. The studios here tend to be pretty affordable, and there’s a really lovely, relaxed vibe to the island, in general, that’s reflected in the studios. Many of the studios here offer amazing views over the ocean, or are set up in the forest. Either way, you’re guaranteed a beautiful experience! The food here tends to be pretty local, although there are some lovely Western joints. Head to the beach for fresh seafood, or wander down side alleys to get an authentic experience. Indonesian food focuses on fried rice (nasi greng), fried noodles (mie goreng) and tasty curries. Desserts aren’t huge here, but make sure you try banana pancakes at least once while you’re on the island. They’re pretty popular across Indonesia and are delicious! Most popular place to stay here on Nusa Lembongan is this beachfront resort Batu Karang Lembongan Resort and Day Spa *. These spacious beachfront villas come with its own pool and spa services. For those who are looking for villas with a good environment for family, Jingga Villas * is the place, with its own pool and just a minute walk to the beach. Its services are also well rated by guests. A good mid range choice here is Sunset Garden Nusa Lembongan * at Mushroom Bay with beautiful garden and sunset view. Just 9 minutes walk from the beach, the price from just 89 USD is well worth it! If you are looking for a more cozy environment, The Akah Cottage, only 3 minutes walk from the beach, is the place for you. It comes with bike rental facilities and an outdoor pool. It is also good for value with prices starting only at 35 USD. Water Blow Huts * is another well-loved choice in this range to stay near Dream Beach in Lembongan.